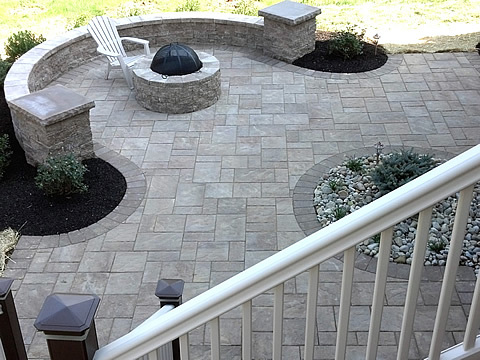 Techo-Bloc Blu Paver Patio in Harvest Gold with brown border. 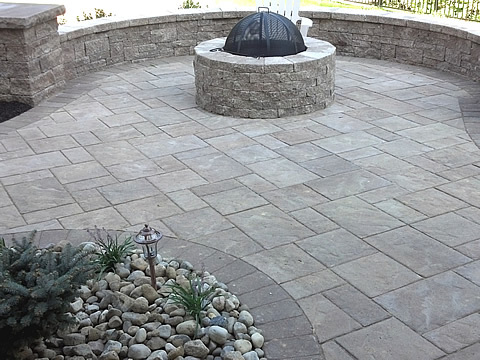 A techo0Bloc sitting wall surrounds a Valencia firepit. 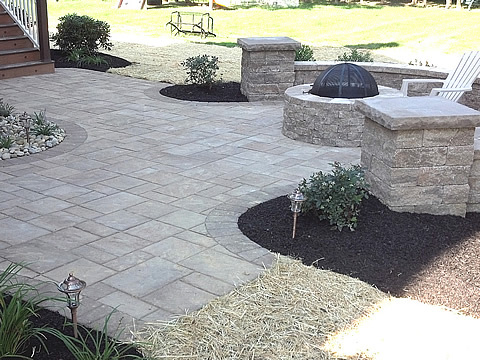 Custom landscaping gives it all a finished look.